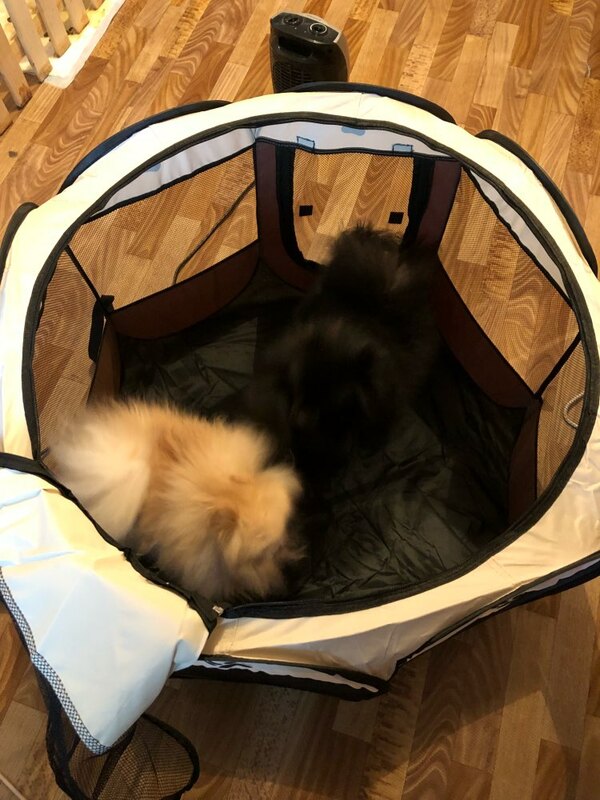 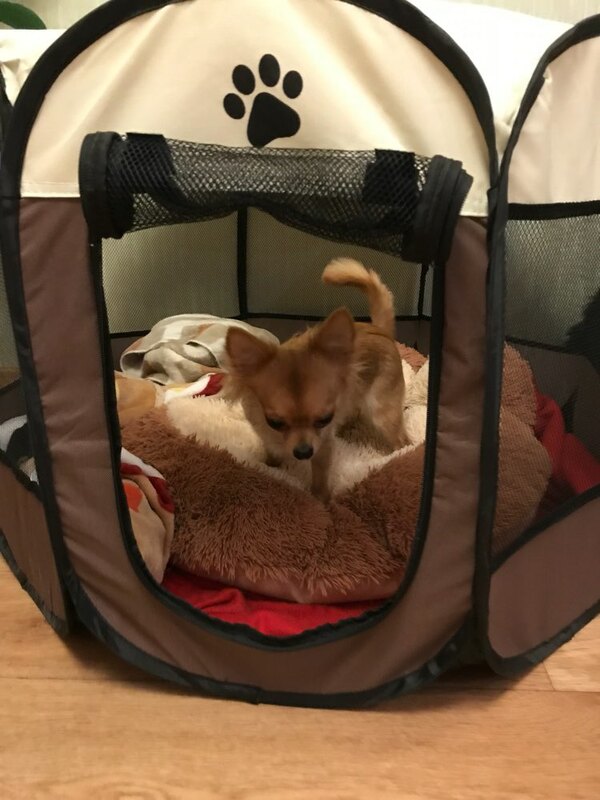 The Portable Pet Playpen is a lightweight enclosure that can be used indoors or outdoors to give pets a safe play area. 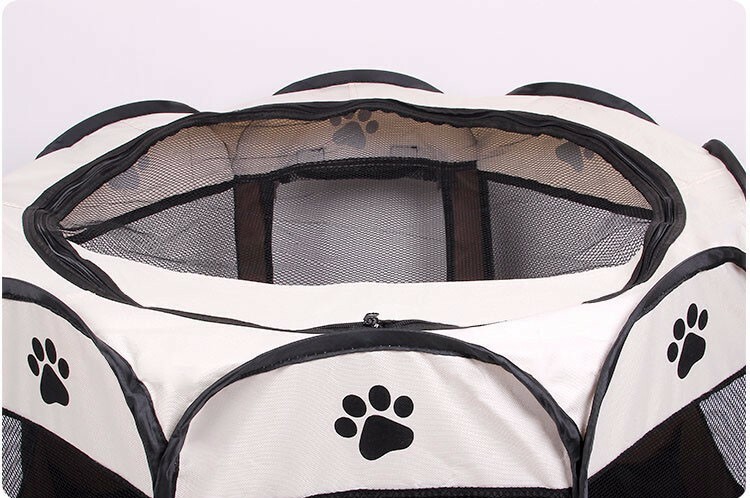 It’s perfect for nursing mothers with newborn puppies, yards without fences, or for giving indoor cats a little outside time and fresh air. 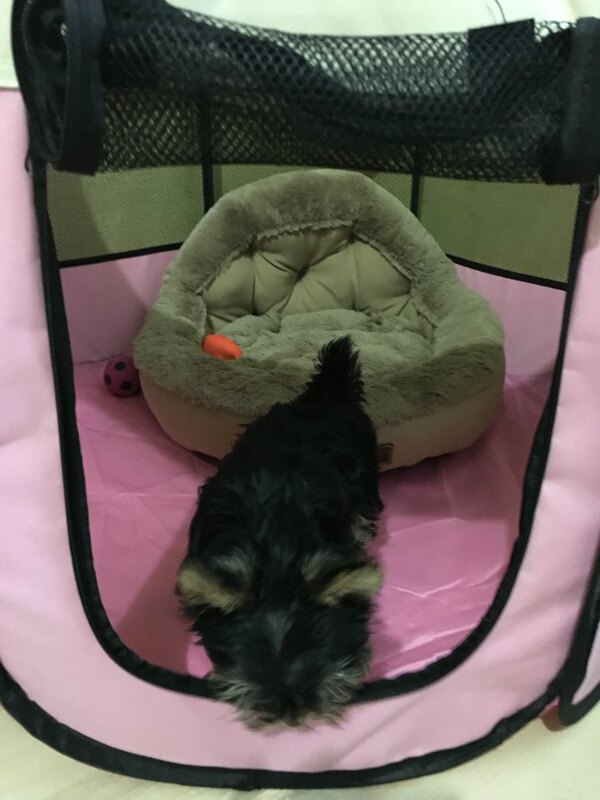 You can create a comfortable setup with toys, food, water and beds so your pet can play or nap while you go about your daily routine. 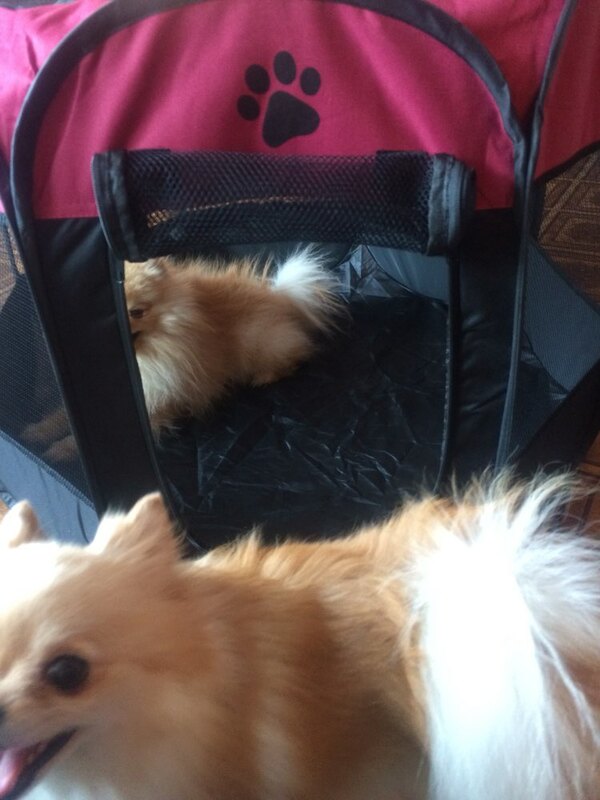 The Portable Pet Playpen has a zippered top, eight mesh windows and a zippered side door. 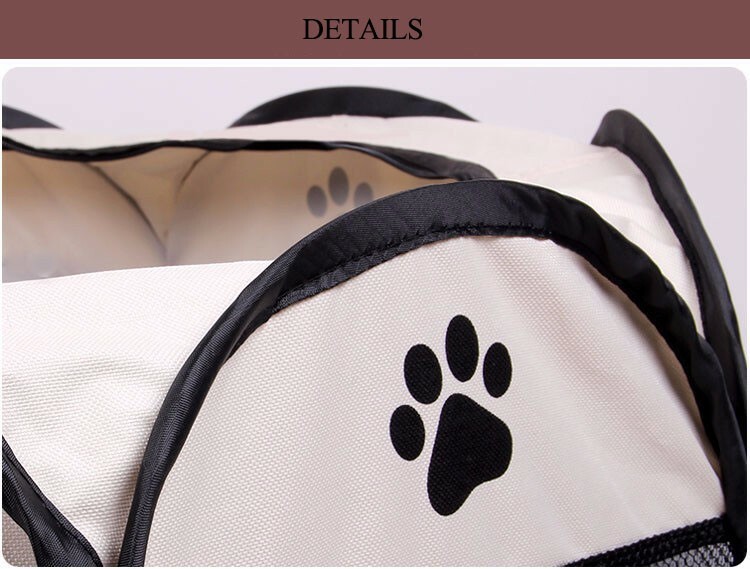 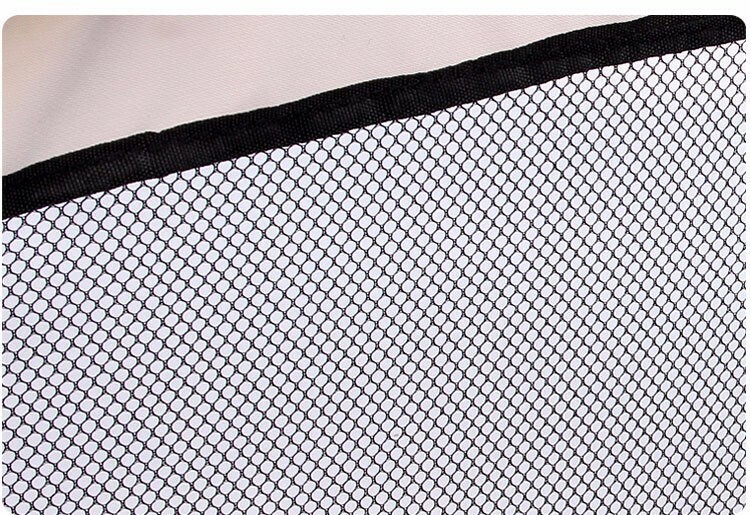 It allows plenty of air circulation and visibility for you to keep an eye on your pets. 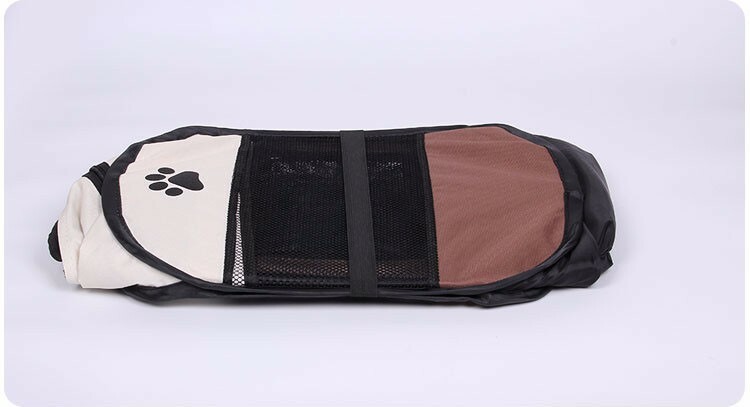 This convenient pen is easy to set up and folds neatly for easy portability.